A Message from the Horse will be held at the Sacramento Horsemen’s Association on April 27, 2013 at 6:00 pm. Come watch cowboy Wes White use biblical principles to bring a horse to brokenness. WatchÂ the transformation unfolds through this powerful message of how Godâ€™s grace is given to eachÂ of us when brought to brokenness. 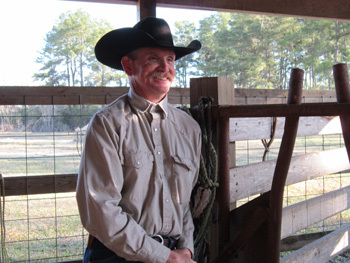 Wes is a gifted horseman with a masterâ€™s degree in Equine and Animal Science. He workedÂ as the Director of Equine and Animal Science at New Mexico Military Institute and taughtÂ these same principles on the Navajo Reservation in Counselor, New Mexico in 2001 and inÂ Sacramento in 2006. Wes has also participated in the Mustang Makeover in Fort Worth, placedÂ in the top 10 at the Stock Horse competition in Texas, and has authored a training column forÂ Horsemanâ€™s Magazine. Breaking horses with love and respect has been Wesâ€™s passion throughout his life. MoreÂ important than his extensive skills and experience as a horseman, Wes is a deeply-committedÂ Christian and family man. The message he brings through his work with horses will move youÂ and be an experience you will not forget. This will be a family friendly environment with plenty of parking. Â Admission and parking are both free! Â Door prizes will be available. Â To register for the door prizes please click here. Please come and bring the whole family, and enjoy this great event!